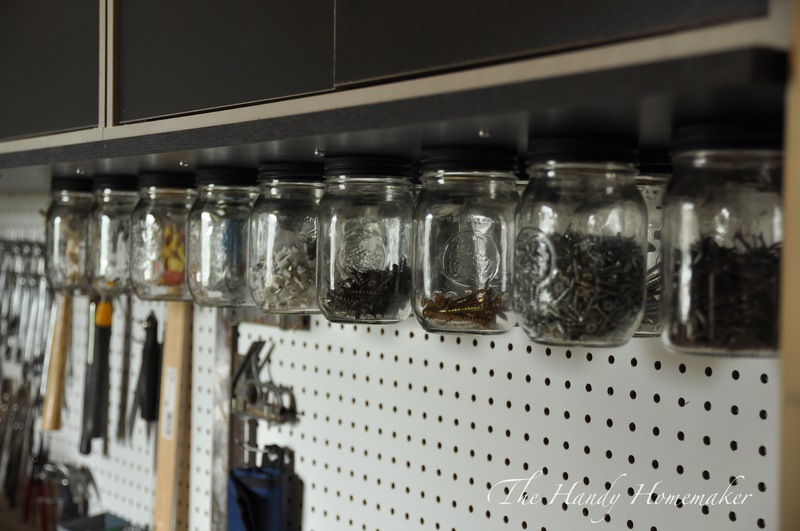 This is an easy project to help with garage storage. 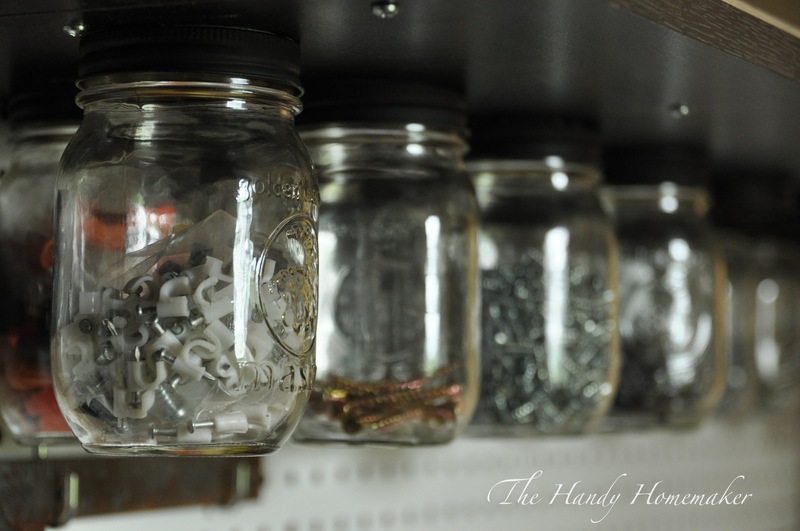 I’ve had this type of storage in every house we have lived in. In our first home 22 years ago, my father in law installed something like this in our garage and in the basement stairwell. 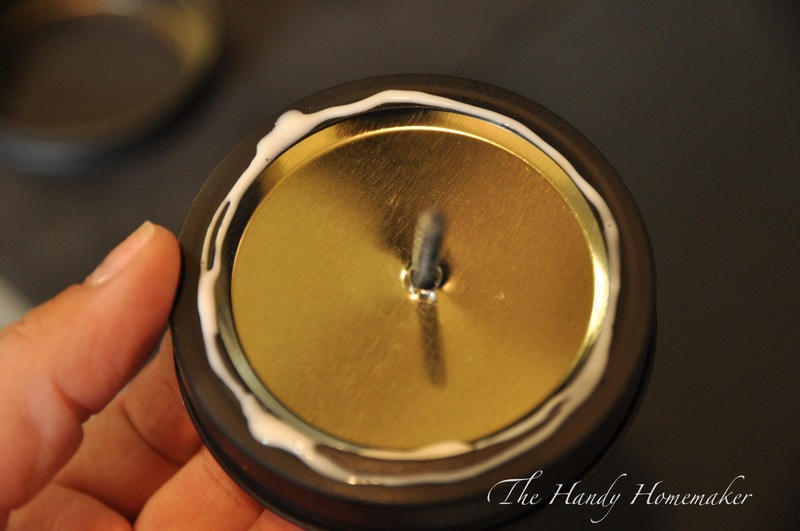 However, he used saved condiment jars, like cheese whiz 😉 It was an easy way to find a screw or a nail and saved searching time. 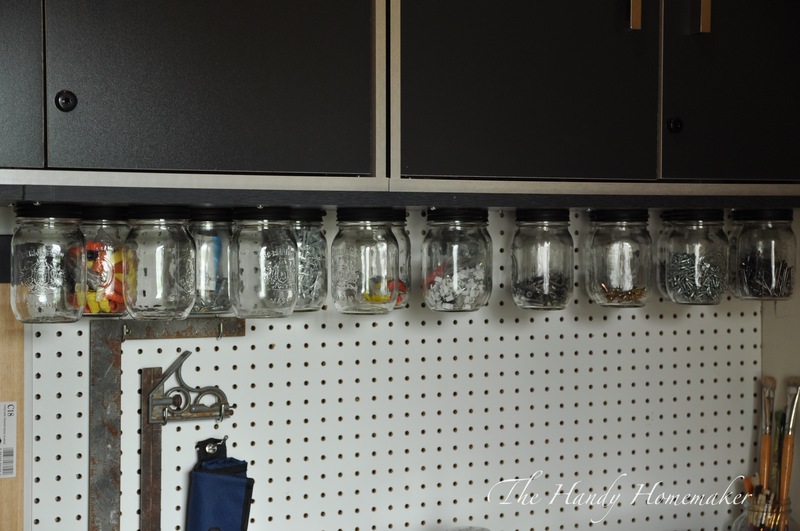 When I was organizing my garage I installed a few cabinets for storage and a better work area. 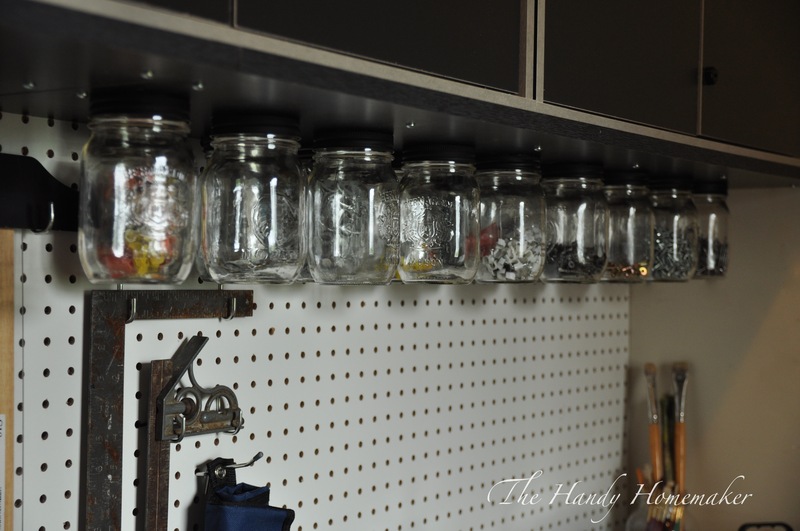 I couldn’t wait to install this mason jar storage in this space. 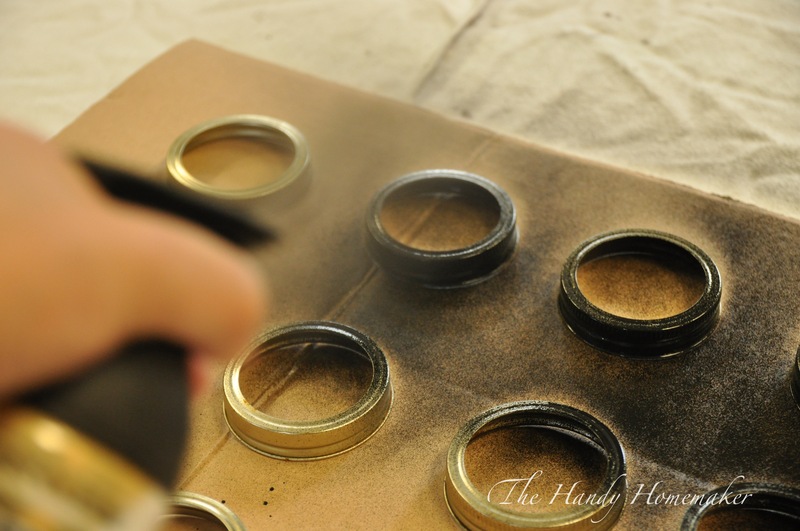 I spray painted the lids flat black as I wanted the lids to blend in with the shelving. 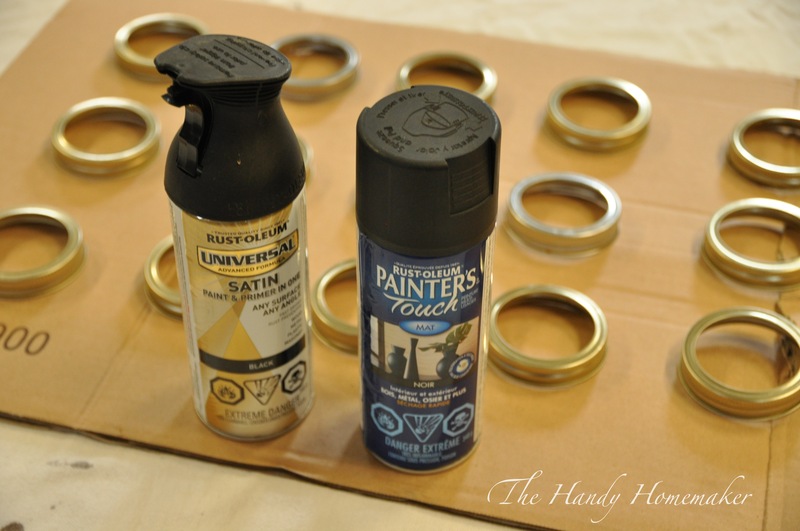 You could paint them any color you want or leave them unpainted. 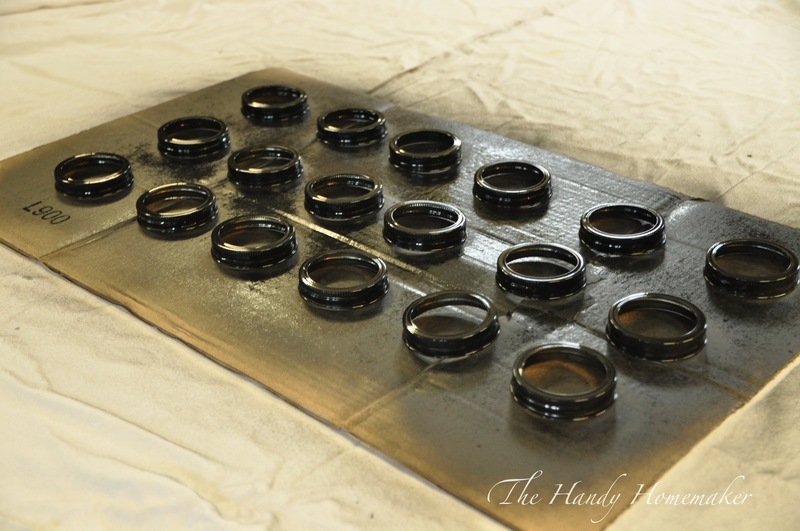 Once everything was installed, I placed a couple of extra lids in a small container on the counter. 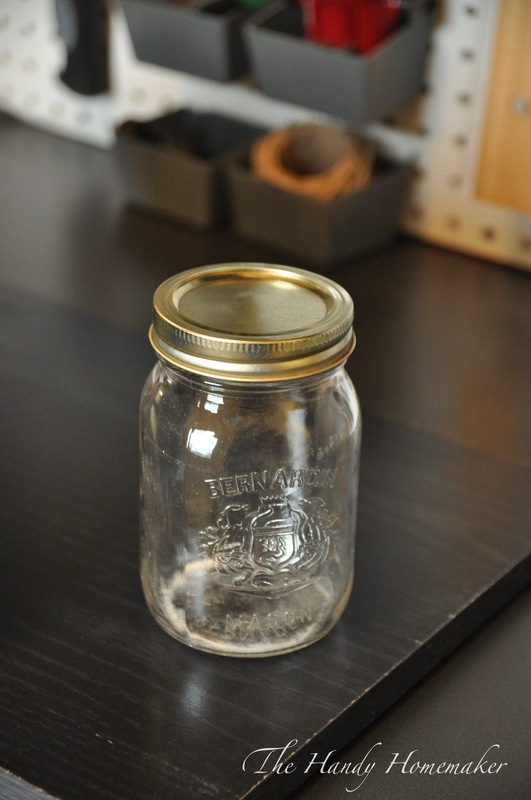 When I need to take the jar to a project, I can do so without spilling the contents of the jar. 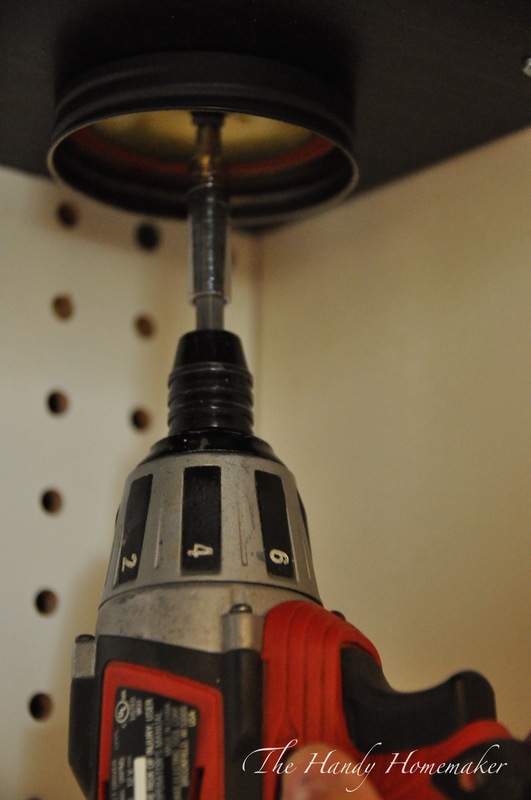 Once finished with your offsite project, return the jar and put back in place. 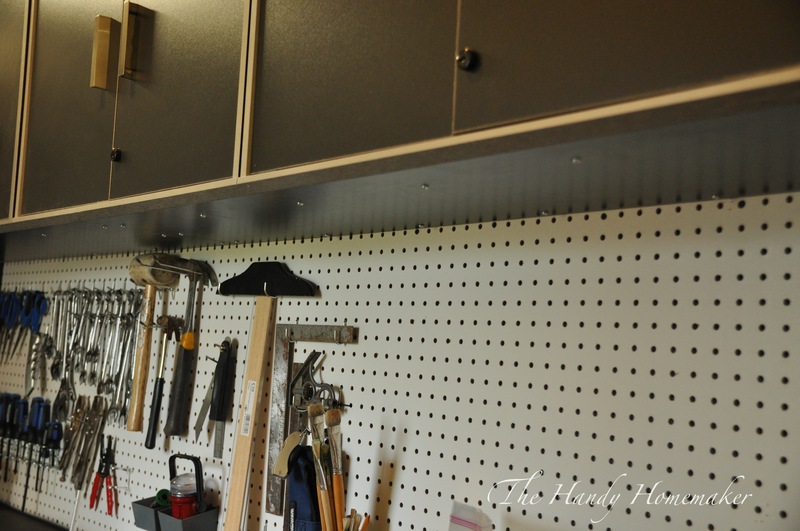 To start, I installed upper cabinets and base cabinets mounted them together and added a pegboard backsplash. 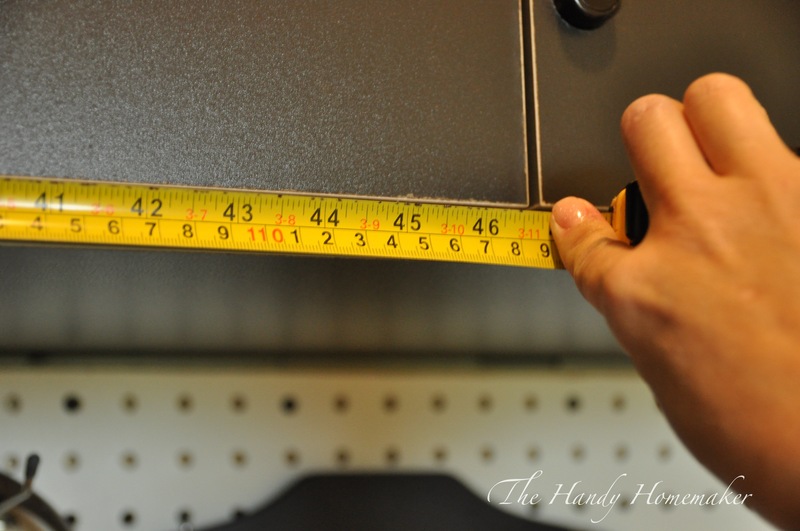 The cabinets I have the bottom shelf is only 5/8″ thick which I felt was not thick enough to hold a jar full of screws or nails as over time small screws could loosen and fall out. 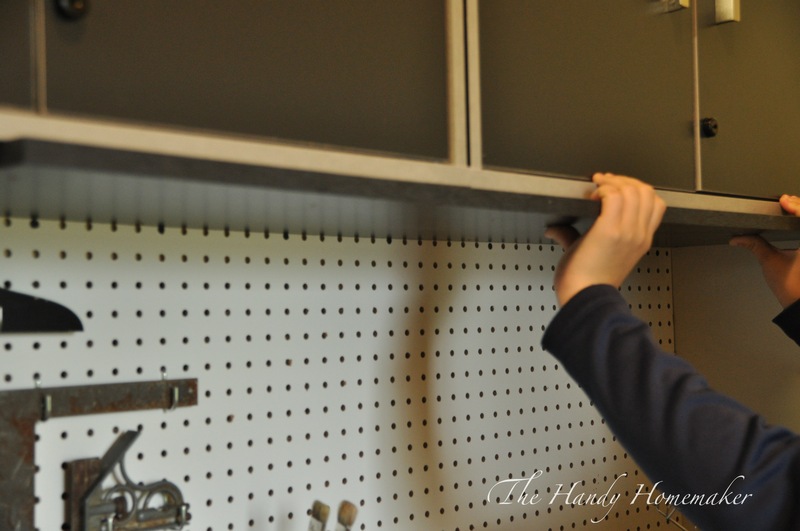 I added 5/8″ pre-painted black shelving to the bottom of my cabinets. 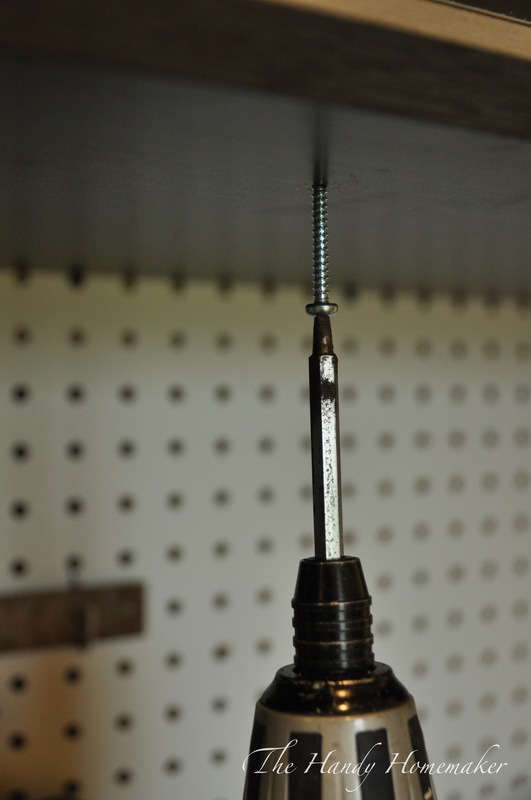 This allowed for a 1-1/4″ screw to grip through without going into the cabinet interior. 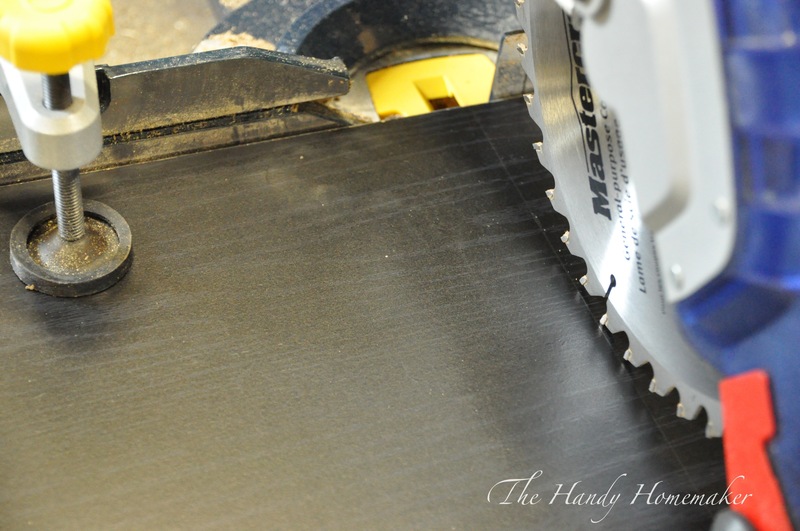 The shelving also gave the bottom of my cabinets a finished look. 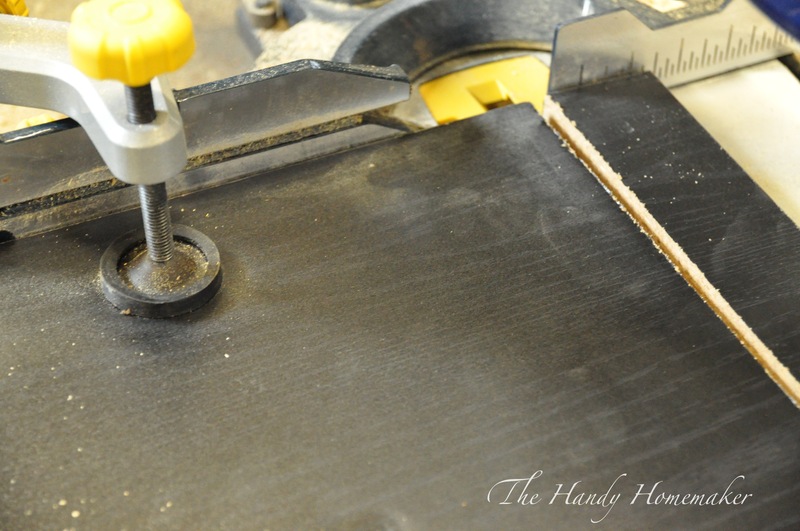 Use a ruler or carpenters square to make sure your cut mark is square and straight. 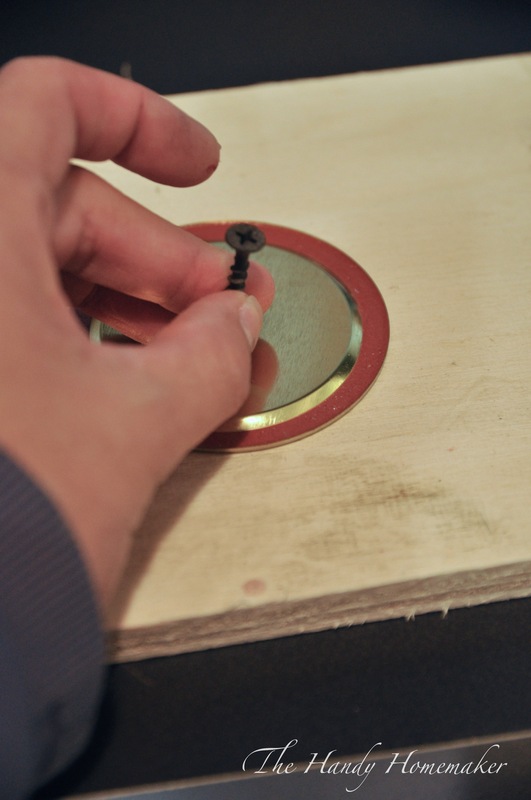 Add another bead of glue at the top of the lid where it will touch the shelf once screwed in place. 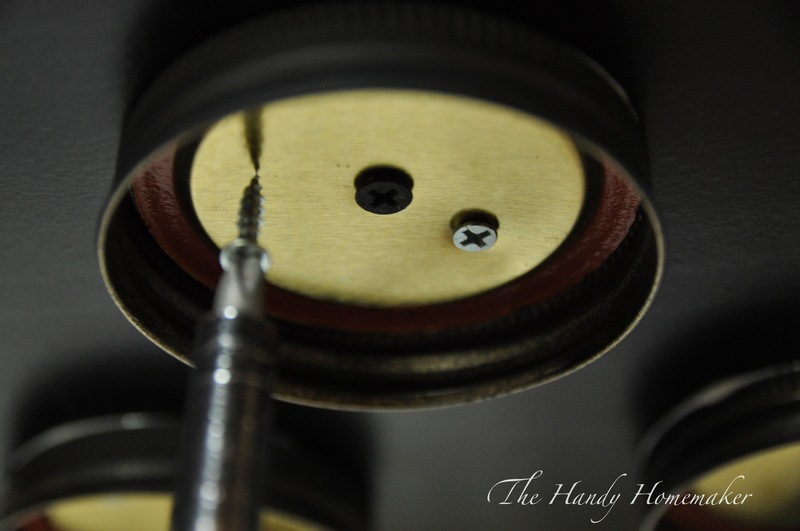 This helps secure the lid and make sure there is not movement or future screw loosening. 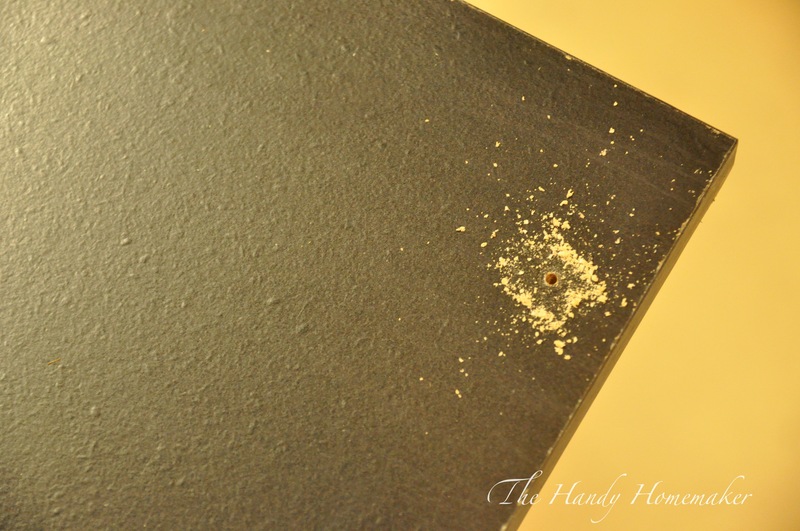 No Bake Plant based Pumpkin Cheesecake – Easy & Gluten Free recipe included! 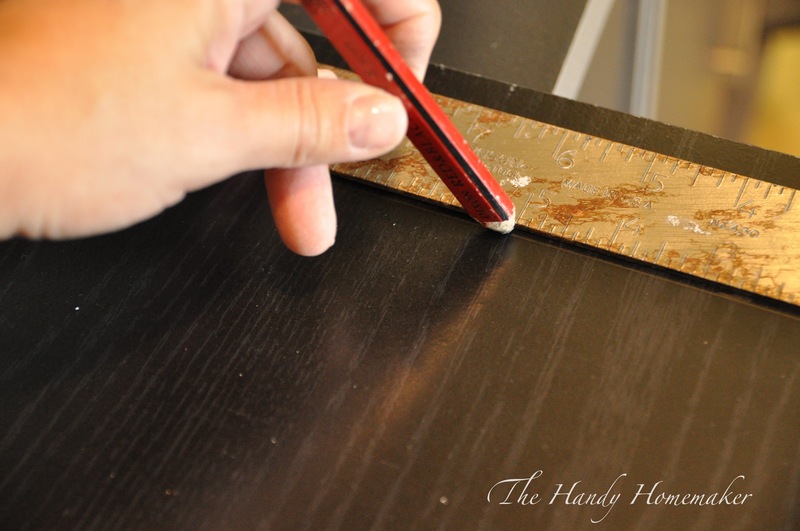 Pingback: 822 DIY Organization Ideas For A Clutter-Free Life Lauren J – Hot Pomelo – Internet Portal..